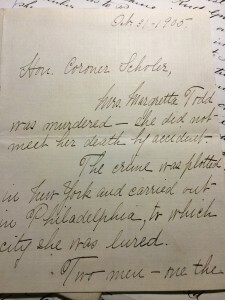 Dedicated to my crime author friend, Sue Coletta, whose excellent blog is chock-full with tips for crime authors, today’s post will introduce you to the Honorable Gustav Scholer; the now forgotten first Head Coroner of NYC. It is based on research conducted by Luke Spencer of Atlas Obscura. 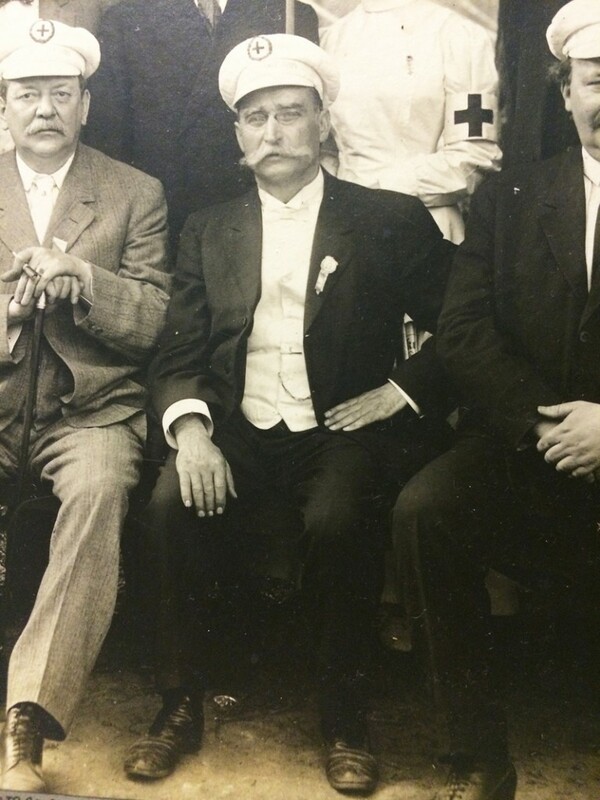 In 1905, Scholer, an immigrant from Baden in Germany, was 54 years old, and had been head Coroner for the city for only three years. The role of the Coroner was an extremely powerful one. Where deaths were deemed to be suspicious and unattended (that is to say, no doctor was present at the moment of death) they were investigated by the Coroner. They had the power to arrest people, halt burials, order autopsies and exhumations, all in order to determine the cause of death. Evidence would be presented at an inquest with a Coroner’s Jury and if foul play was unearthed, the case would be handed back to law enforcement. 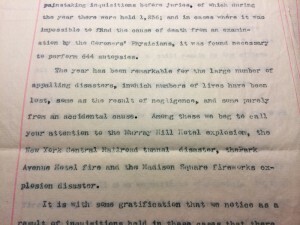 At the turn of the last century, New Yorkers found myriad unusual ways to meet a premature demise. 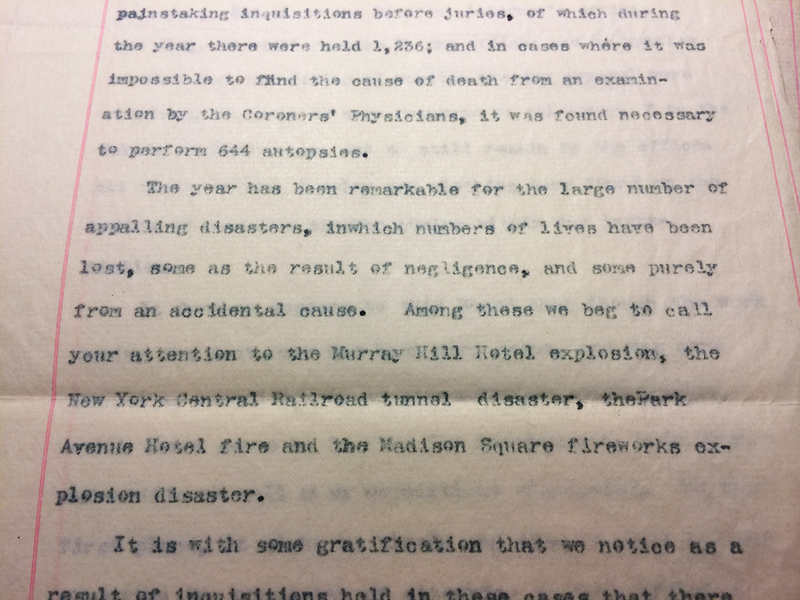 Dr. Scholer’s annual report to the mayor in 1902 recorded that there were 5,846 new cases, broken down into “sudden deaths from natural causes (3,586), accidental violence (1,965), suicide (470), homicides (231)”. The causes of the deaths Scholer investigated included “illuminating gas, both accidental and suicide, opium poisonings, deaths from cutting throat, setting fire to clothing, overdoses of morphia and laudanum, pistol shots, stabbings, and deaths following illicit abortions.” His investigations took him from the tenements of the Lower East Side to the glittering world of the upper classes. Dr. Scholer’s case files, donated to the NYPL by his wife. Responsible for investigating the city’s suspicious deaths, and examining the mental pathologies of accused criminals who claimed insanity, Scholer meticulously kept and filed away his murder case notes, autopsies, newspaper clippings, psychiatric profiles, unclaimed personal affects of the deceased and anonymous tip-off letters. 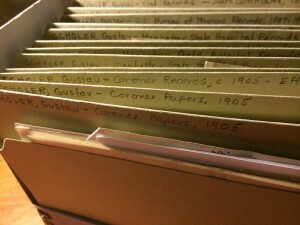 After he died, his wife donated his papers to the New York Public Library, where it remains in their archives. The largely unknown collection offers a fascinating glimpse of Edwardian forensic pathology, written by the investigating physician himself. Mrs. Margaretta Todd was murdered—she did not meet her death by accident. The crime was plotted in New York and carried out in Philadelphia, to which city she was lured. Mrs. Margaretta Todd came from the moneyed Von Hoffman family. In her youth, she was said to be well acquainted with Parisian society, and known for her vibrant red hair and vivaciousness. 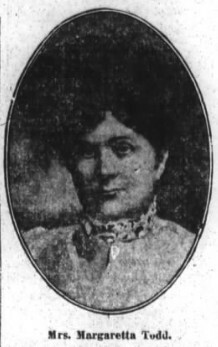 With her wealth, estimated to be worth around $1,000,000 in real estate and jewels, she built a lavish seven-story building in the heart of the old Tenderloin district on West 26th Street and rented out its apartments. Upon arrival in Philadelphia, Mrs Todd was met and put into a carriage … she was a drinking woman. In the carriage she was given several drinks, dosed with knock-out drops. She was driven to Fairmount Park. When the drug had taken effect she was taken from the carriage led along the side of the railroad track and in the darkness hurled down a steep embankment right in front of an oncoming train. Scholer started his investigation by wiring his counterpart in Philadelphia, Coroner Thomas Dugan. 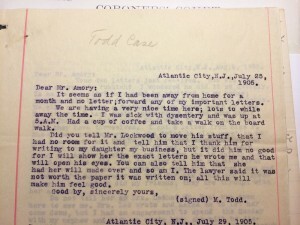 The man told him that two employees of the Philadelphia and Reading Railroad had, indeed, found a body on the tracks who, from items in her possession, had been identified as Mrs Margaretta Todd, a widow “residing at 29 West 26th St., your City.” The story had even been picked by the Press there. Her head had been crushed and both legs severed below the knees. Remarkably, it was noted that Mrs. Margaretta Todd’s fingers, wrists, ears, and neck were still covered in jewels. Within days of this gruesome discovery, Gustav Scholer had the viscera taken from her body and brought back to New York for investigation. Chemical analysis showed evidence of chloral hydrate, the “knock-out drops” the tip-off letter had mentioned. 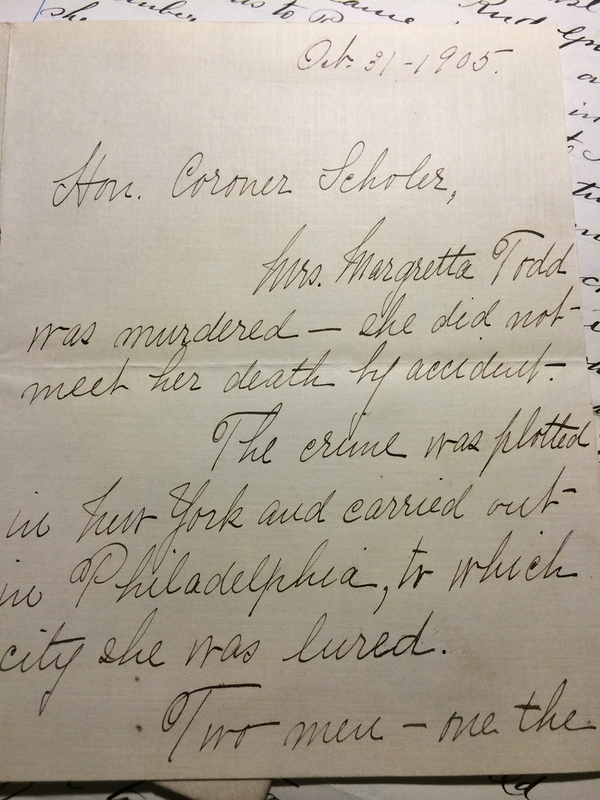 Dr. Scholer began investigating the life of Mrs. Todd to see why a seemingly harmless widow would suffer what he was by now treating as a cold-blooded murder. 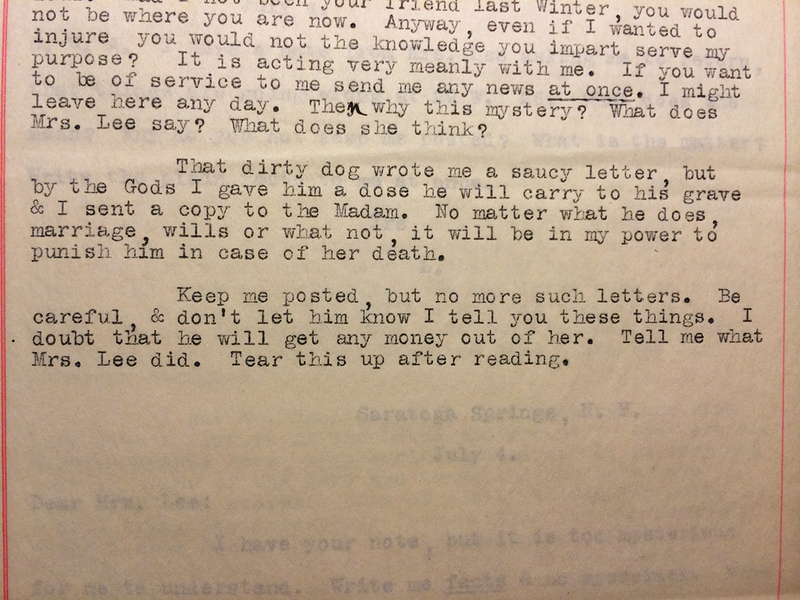 That dirty dog wrote me a saucy letter, but by the Gods I gave him a dose he will carry to his grave … tear this up after reading. 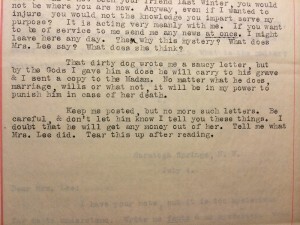 But who was this “dirty dog” she wrote of? One of the building’s tenants was her lawyer, Ingersoll Lockwood. Scholer’s investigation began to unearth troubling evidence concerning the nature of the relationship between Mrs. Todd and Lockwood, who was apparently living rent-free in the Von Hoffman building. 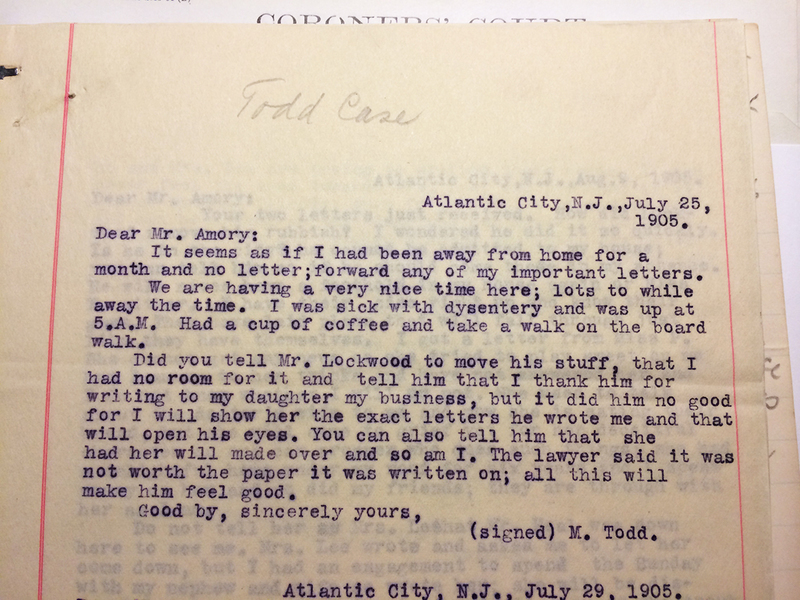 It emerged that a will, written in 1902, virtually disinherited her kin, leaving the proprietorship of the building and the bulk of her vast wealth to Lockwood. On Thursday night, October 26, 1905, Margaretta informed her new lawyer, George Gordon Hastings, that she had written her new will. The two made arrangements to meet the following day to sign it. Mr Armory called at our house on Friday October 27th at 5pm in an excited state and asked where Mrs. Todd was. My husband replied that we had not seen her. He said ‘she has gone without signing her will’. When he left he said he would send out a police arm for her. 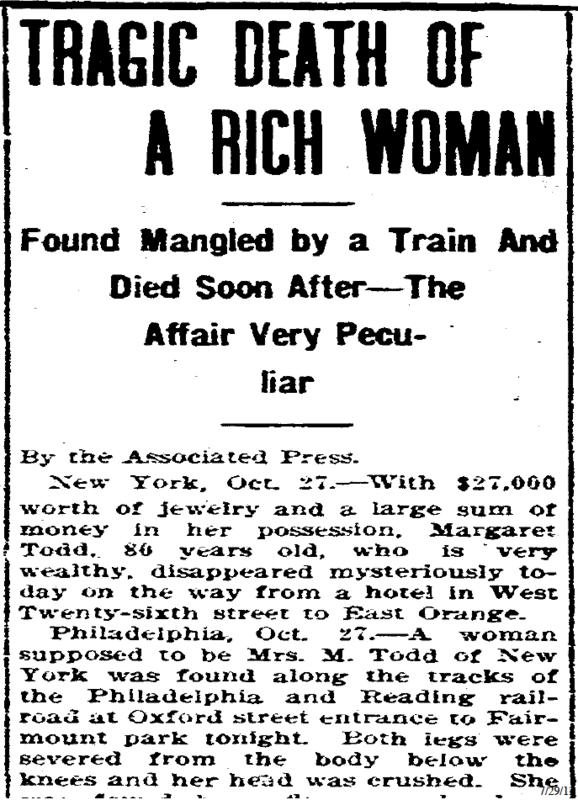 Within a few hours, Margaretta Todd’s mutilated body was found on the railroad track. The court case over the will would stretch into 1906, with the fortune eventually passing to Margaretta’s daughter. But despite Scholer’s efforts, and the circumstantial evidence pointing at Lockwood and Paine, the murder would never be solved. The Von Hoffman building still exists today, with a Dominican restaurant on the ground floor and apartments above, but the brutal murder of its one-time owner is all but forgotten. All primary sources courtesy of the Dr. Gustav Scholer collection, Manuscripts and Archives Division New York Public Library, Astor, Lenox, and Tilden Foundations. For even more Scholer cases, read the full post on Atlas Obscura. You can read the full story of the mystery surrounding Mrs. Todd’s death on Suitcase Full of Memories.